Ocean Avenue Entertainment, Inc. is the destination for productions that offer hope to audiences looking for inspiration in entertainment. Ocean Avenue is committed to releasing inspiring and redemptive films and television programming. Its distribution strategy optimizes each release platform to find the widest possible audience theatrically on VOD, DVD and ultimately on streaming sites like Netflix and Amazon Prime. For more information, please visit www.oceanave.tv. NASHVILLE, Tenn. (March 28, 2019) — We Are Messengers will release its new EP, Honest, on Friday, March 29 via Curb | Word Entertainment. Hailed as “both carefully genuine and creatively brilliant” by New Release Today, the six-song set — produced by Tedd T. (Francesca Battistelli, Stars Go Dim) and Benjamin Backus (for KING & COUNTRY, Blanca) — marks the Dove Award-nominated act’s first new project since its self-titled debut album. Honest’s first single, “Maybe It’s Ok” — the band’s fastest-rising single — immediately resonated with people from all walks of life with its message of raw transparency and no-holds-barred empathy. Now sitting at No. 3 and rising on the Billboard and Mediabase charts, No. 8 on Billboard’s Hot Chart, and with 7.5 million on-demand streams, “Maybe It’s Ok” has grown beyond the bounds of music and become a movement of radical self-acceptance. On maybeitsok.com, fans can anonymously share their personal stories and struggles in a safe space and see they’re not alone. Over 1,000 entries have been submitted to date, with fans revealing their struggles with issues ranging from grief and loss, to mental illness and addiction, to sexual abuse and human trafficking. We Are Messengers is a band focused on spreading the message of God’s love and using songs born from their own struggles to impact the lives of their audiences. Originally from Ireland, lead singer Darren Mulligan and wife Heidi moved to the U.S. and saw their music career explode with their self-titled debut album in 2016. The album earned them their first Dove Award nomination for New Artist of the Year and included Top 5 hits “Everything Comes Alive,” “Magnify” and “Point to You.” They now return with new music featuring lead single “Maybe It’s Ok,” already a fan-favorite at We Are Messengers’ legendary live shows, which attract a wide range of people searching for hope and meaning. Their live show will reach new fans this year as they head out with TobyMac on the “Hits Deep Tour.” The band has also had placements in films and television, including The Shack and MTV’s Coupled. For more information, visit www.wearemessengersmusic.com. AWAKEN I AM have released a brand new video for “Kin,” from their upcoming EP The Beauty In Tragedy, set for release on April 26, 2019. The five song collection plays as a tribute to their late guitarist Connor Verner-Oakley, and features the previously released song/video “Dissolution,” with “Kin” and three new tracks dedicated to Oakley. To hear from AWAKEN I AM themselves, the band will host a public Q&A on Monday, March 18 via ‘Ask Me Anything’ at Reddit.com r/posthardcore. [Scheduled to begin @ 7PM EST (US) Monday / 9AM AEST (Australia) Tuesday]. Next Thursday March 21, the band begins their second tour of 2019 as support for Slaves. With the EP set for release on April 26, the band will kick off their North American tour (supporting Secrets), which will bring the bands dynamic live show to Canadian audiences for the first time, before wrapping up in Fresno on June 1. LOS ANGELES (March 15, 2019) — Multi-platinum selling and award-winning group, Hillsong UNITED announces the release of their highly anticipated album, “PEOPLE.” Slated to debut worldwide on April 26, the live project with twelve new songs is available for preorder today and features the brand new single “Another in the Fire” (listen to and watch the song here). In addition, “So Will I (100 Billion X),” one of UNITED’s biggest songs to date, has been certified Gold by RIAA with over 108 million career streams. Returning to their roots, to where it all began, “PEOPLE” pays homage to the group’s core mission; unity… a simple, yet most powerful message that’s needed in the world today more than ever. Recorded live in Sydney, Australia, “PEOPLE” features three previously released tracks, including “As You Find Me,” “Good Grace,” and “Whole Heart (Hold Me Now).” Debuting in December 2018, “Good Grace” set the record as UNITED’s highest streaming street week career single, which “Whole Heart” subsequently broke by an increase of 12% upon its release in January 2019. Their latest song “As You Find Me” has already garnered 8.2+ million global streams/YouTube views to date, while “Whole Heart” and “Good Grace” have amassed over 31.8+ million global streams (including YouTube views) collectively. In support of their new music, Hillsong UNITED will return to the United States for the first time in nearly three years for their highly anticipated USA‘The People Tour MMXIX.’ The arena circuit will kick off on April 25 in Austin, Texas and include stops in major markets across the nation before culminating at New York City’s Madison Square Garden on July 2. 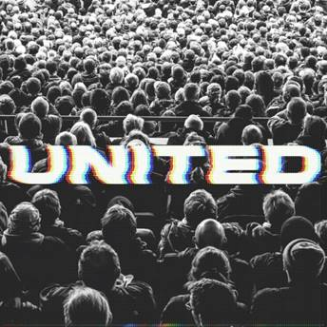 Tickets are on sale now at hillsongunited.com. Hillsong UNITED is comprised of an evolving, eclectic mix of musicians and songwriters, and undisputedly one of the genre’s most influential artists in the history of contemporary Christian music. The group has sold more than 4.7 million albums globally and garnered over 3 billion worldwide career streams to date. Their most recent album “Wonder” (2017) rocketed to No. 1 on Billboard’s Top Christian Albums chart and No. 21 on the Billboard Top 200 and set the record for the most streamed album in Christian music history (U.S.) during street week with over 4.6 million streams. Hillsong UNITED remains the No. 1 Christian artist on all social media platforms with over 10.5 million fans combined. For more information, visit www.hillsongunited.com or @hillsongunited on all social platforms. Hillsong UNITED is a multi-award-winning, platinum-selling artist whose chart successes (repeatedly no. 1 on Billboard’s Christian charts and up to #5 on Billboard 200) are only bested by the millions of lives they’ve impacted across the globe. Reporting over 50 million people singing from the Hillsong catalogue songs every Sunday, the modest band born from a youth ministry out of Hillsong Church in Australia, touts a reach of over 10 million across all major social network platforms to date, including 2.1 billion minutes garnered from YouTube viewers. Comprised of an evolving, eclectic mix of musicians and songwriters, the band is led by Joel Houston and Taya, names that have become synonymous with Christian radio, dominating airwaves with every new release. Their last four studio albums have each topped the USA Christian chart, with “Zion” and “Empires” charting no. 1 (“Zion” recently also went Gold in the U.S.); “Oceans,” written by Houston and band member Matt Crocker recently went triple platinum in the States, counting 200+ million streams and reigning on top of the Christian songs chart for a record 54 weeks. In studio, on tour or at home, Hillsong UNITED is committed to writing songs that speak truth, create a unique sound and connect people everywhere with God, evident by the success they’ve seen globally. With over 50 countries and six continents visited, Hillsong UNITED continues to sell out arenas and stadiums around the world, including sold-out nights at the Forum, STAPLES Center and The Hollywood Bowl in Los Angeles, The Toyota Center, Oracle Arena, Air Canada Arena, American Airlines Arena (Miami and Dallas), and Red Rocks to scratch the surface. Hillsong UNITED functions from the deep understanding that everything they do is an expression of a really extraordinary God doing what only He can do, through really ordinary people. March 14, 2019 (Nashville, Tennessee) – “Waterfall,” a new single from Horizon Music, the worship team at Horizon Community Church, is being released today to Christian AC and CHR-formatted radio outlets. The new song is from the album titled “Victory,” which has been released by Maranatha/Capitol Records. A lyric video for “Waterfall” is available at YouTube. Horizon Music, based at the multi-campus church southwest of Portland, Oregon, is comprised of Tiffany Ordóñez, Candice Russell, Elliott Otteson, Stephanie Campbell and Aaron Russell. Candice Russell co-wrote “Waterfall” with Dave Lubben, who also served as co-producer with Aaron Russell. The worship band started with the idea of creating current sounding music for a young generation of music listeners, with the goal that the worship music would be done so well and with mainstream pop sounds that the music would be interesting to those who may not have been willing to listen before. “Our hope is that a young generation of believers and nonbelievers alike will listen to this music with joy and abandon, hearing the good news of the Gospel in the sweet spot of their favorite genre,” said Ordóñez, lead worship pastor at Horizon Community Church. “We are praying and believing that more people will fall in love with Jesus because of these new and current worship sounds.” For more information about Horizon Music, visit horizoncommunity.church/horizonmusic, like on Facebook or Instagram. Doug Hershey, the author of the Number 1 Amazon Best Seller, Israel Rising, is scheduled to join host Erick Stakelbeck on The Watchman on TBN this Friday, March 15, 2019. Pictured (L to R): Hershey and Stakelbeck. (Ezra Adventures photo) NASHVILLE, Tenn. (March 13, 2019) – Best selling author Doug Hershey is scheduled to appear as a guest on the influential television show, The Watchman, with host Erick Stakelbeck on the Trinity Broadcasting Network on Friday, March 15, 2019. The pre-recorded episode is scheduled to air at 10:30 p.m. EST, and will be rebroadcast on Saturday morning, March 16, 2019, at 6 a.m. EST, the following Wednesday, March 20, 2019, at 2:30 a.m. EST and 6:30 p.m. EST, and the following Friday morning, March 22, 2019, at 5 a.m. EST. Israel Rising, which was launched to celebrate the anniversary of the formal establishment of the modern State of Israel 70 years ago on May 14,1948, has recently captured the Number 1 spot on five separate Amazon sales charts, including the online behemoth’s General Israel Travel Guides chart, Christian Books & Bibles: Prophecies chart, Israel & Palestine History chart, History of Judaism chart, and Torah chart. The title continues to maintain a solid presence on those lists. As this intriguing book continues to enthrall readers, it has propelled its author further into the limelight as a guest on multiple media outlets and broadcast programs, including CBN’s The 700 Club, The Hallmark Channel’s Home and Family, The Eric Metaxas Show, Cornerstone TV’s Real Life, Bill Martinez Live!, Jerusalem Dateline, The Jim Bakker Show, El Shaddai Ministries with Pastor Mark Biltz, Israel’s 70th Project (Curt Landry Ministries), Jewish Voice with Jonathan Bernis, Friends and Neighbors, Atlanta Live, The Meeting House on Faith Radio, and Prophecy Watchers, among others. Based on biblical prophecy found in Ezekiel 36, the gorgeously illustrated four-color Israel Rising gift book includes more than 175 photos from photojournalist Elise Monique Theriault, comparing vintage pictures of the Holy Land to current pictures taken from the same angle, revealing the miraculous transformation of the region from a barren wasteland to a thriving modern nation since the rebirth of Israel. In addition to the book, City of Peace Media has also produced a companion music CD, Israel Rising: The Land of Israel Reawakens, featuring 14 songs with a heart for Israel (various artists), and a stunning four-color Israel Rising 70th Anniversary Commemorative 14-month calendar (April 2018-May 2019), featuring images from the book and annotated with all of the Jewish holidays and anniversary dates associated with this momentous anniversary year in Israel’s history. Both the calendar and the music CD are available from City of Peace Media and Ezra Adventures. The Israel Rising book released on February 28, 2018 from Citadel Press (an imprint of Kensington Publishing Company). With a manufacturer’s suggested retail price of $34.95, Israel Rising is distributed to the trade by Penguin Random House and is available at all major online and brick & mortar book retailers, including Books-A-Million, Barnes & Noble, Lifeway Christian Stores, Christian Book Distributors, Amazon, and wherever books are sold. For more information on Israel Rising: Ancient Prophecy/Modern Lens, visit IsraelRisingBook.com and make sure to watch Doug Hershey’s four-minute Israel Rising video (youtube.com/watch?v=rp7fPkPkCAc). For more information or to purchase the Israel Rising: The Land of Israel Reawakens music CD, and the Israel Rising 70th Anniversary Commemorative 14-month calendar (April 2018-May 2019), visit CityofPeace.com, GalileeoftheNations.com, or ezraadventures.com/store. Rock & Roll Hall Of Fame inductee and Journey member Jonathan Cain releases his first new single of 2019, “More Like Jesus,” from Identity Records. Available at digital retailers and streaming outlets globally March 22 from The Fuel Music at https://the-fuel-music.lnk.to/morelikejesussingle, the song is from Cain’s fourth new solo album in as many years. Set to release May 3, the new full-length album title, track listing and more will be revealed in the coming weeks. Recording the song in his state-of-the-art Addiction Sound Studios in Nashville with producer, mixer David Kalmusky, known for his work on multiple Platinum albums, Cain also released “More Like Jesus” as a lyric video at https://youtu.be/bPbnUFoTb6w. 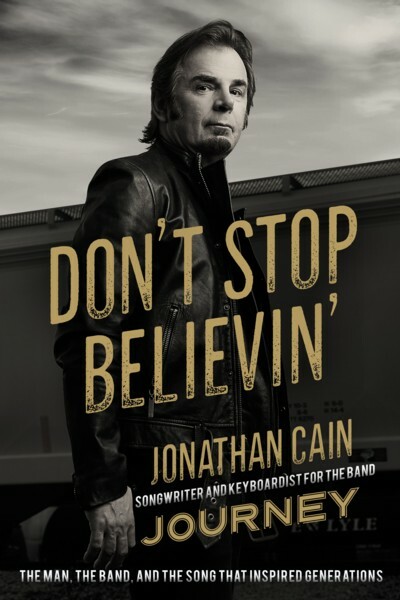 The new music follows Cain’s Billboard, AllMusic and CCM Magazine featured The Songs You Leave Behind, which released last summer as the companion to his Rolling Stone–lauded, Publishers Weekly-bestselling book, Don’t Stop Believin’: The Man, the Band, and the Song that Inspired Generations. In the book, Cain shares his remarkable story as well as behind-the-scenes details of his decades-long career with one of America’s favorite rock bands. Writing/co-writing some of the biggest rock songs in history, including “Don’t Stop Believin’,” which is the No. 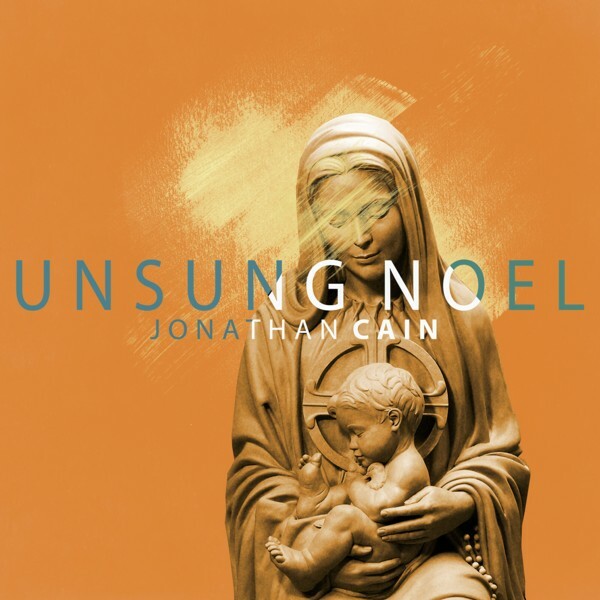 1 digital catalog rock song, as well as mega hits such as “Faithfully,” “Open Arms,” “Separate Ways,” “Who’s Crying Now” and many more, Cain released the acclaimed What God Wants To Hear in 2016 and his first Christmas solo album, Unsung Noel, in 2017. For all the latest news about Cain, his solo albums and book, go to http://jonathancainmusic.com/, Addiction Sound, Twitter, Facebook and Instagram. In 1976 Jonathan Cain released his first solo record, Windy City Breakdown. In 1979 he joined the band, The Babys, and in 1980 joined the rock band, Journey, rounding out the songwriting genius behind the defining album, Escape. Cain’s signature piano, synth playing and songwriting contributions with Journey, The Babys and Bad English have earned him many Billboard hits, multiple Gold, Platinum and Diamond-selling records, a Star on the Hollywood walk of fame, a GRAMMY nomination and the best-selling catalog rock song in iTunes’ history (“Don’t Stop Believin’”). Journey was named as the fifth best band in rock history in a 2005 USA Today opinion poll, was inducted to the Rock & Roll Hall of Fame in 2017 and continues today, selling out major venues worldwide. Established in 2008, The Fuel Music & Management, LLC, is a leading artist management and artist solutions company that independently distributes music internationally. Based in Nashville, TN, the Fuel team brings nearly 70 years of combined music industry experience in record label operations, major label distribution and marketing, and artist management for artists ranging from upstart bands to GRAMMY Award-winning, multi-Platinum artists. More information on the company can be found at www.thefuelmusic.com. NASHVILLE, Tenn. (March 1, 2019) – Evangelistic husband and wife singer/songwriter duo, The Cashmans, are thrilled to announce the long-awaited national release of their CD, City of God, today, March 1, 2019. The full-length album is distributed by CLG Distribution, and is available digitally from major online retailers, including iTunes, Amazon, and Google Play, at an MSRP of $9.99. “We’re thrilled to be officially releasing our record, City of God, and pray the music and message touches all who hear,” says Jonathan Cashman. NewReleaseToday (NRT), one of the world’s largest online Christian music and media sites, is joining in the celebration by featuring The Cashmans as the NRT Artist of the Month for March 2019. In addition to the highlight, NRT will be offering a free download of “City of God (Remix)” and featuring various content from The Cashmans throughout the month. Following on the heels of the beautiful music video version of the title track, which released February 15, 2019, The Cashmans are currently putting the finishing touches on the lyric music video of “City of God (Remix).” The new video is produced by innovative filmmaker Polly Burokas (Carrie Underwood, Luke Bryan, Miranda Lambert, Brad Paisley) from Northern Belle Motion Design. To view the new video when it releases in the coming days, as well as other videos by The Cashmans, visit youtube.com/channel/UC0lBYgdVISltUMPVM-WPyHQ. Jonathan and Britney Cashman will be touring and making media appearances in the coming weeks in support of the City of God album release, including an upcoming performance and interview on Cornerstone TV’s Real Life. They are dedicated to sharing their music and ministry with the many pastors, congregations, and fans who have supported them over the years. Husband and wife singer/songwriter duo The Cashmans are celebrating today’s release of their new album, City of God, from CLG Distribution. (Lee Steffen photo) About City of God: The City of God project was produced by Grammy nominated, Dove Award winning Producer of the Year Ian Eskelin (Francesca Battistelli, Sidewalk Prophets, Chris August, Hawk Nelson), Grammy, Dove nominated producer/mixer Barry Weeks (Kelly Clarkson, Backstreet Boys, Francesca Battistelli), and Austin Cannon (Vertical Worship, Lincoln Brewster, Christy Nockels), who produced the “City of God” and “All Things New” remixes. City of God features songwriting collaborations with Eskelin, Grammy nominee Sarah Hart (Amy Grant, Celtic Woman, Matt Maher, Laura Story, Audrey Assad), and Dove Award winner, SESAC Country Song of the Year award winner, and CMA & ACM nominee Brian White (Danny Gokey, Mandisa, Rodney Atkins, Rascal Flatts), among others. City of God runs the stylistic gamut from CCM pop and Americana to heartfelt worship. The Cashmans imbue each song on the album with an intimate spiritual vitality that comes from spending time in the Word. But more than that, the project as a whole lays a firm foundation of worship and discipleship. For the Cashmans, who met in 2004 when they were both playing their songs in the Boston music scene, and who dated while ministering, discipleship is far from being just a tagline or byword–it has become a long-term commitment and a way of life. Jonathan and Britney Cashman co-wrote the bouncy, can’t-get-it-out-of-your-head pop tune, “All Things New,” with Grammy nominated songwriter Ian Eskelin (Jeremy Camp’s “I Will Follow” and Francesca Battistelli’s “My Paper Heart”). “It is another picture of the Gospel,” Britney Cashman explains. “Jesus makes all things new. It sounds like a simple concept, but when you think about what it really means, being made new is a pretty incredible thing.” City of God also features a spunky dance remix of “All Things New” that will compel listeners to get up on their feet. The couple recalls their encounter with Kevin, a young man who had given his life to Christ just a few days before he reached out to their church’s prayer line, where Jonathan was the Worship and Life Groups Pastor. Kevin had felt compelled by the Holy Spirit to confess his infidelities to his wife, and was distraught when she threatened to leave him. In addition to The Cashmans’ music ministry, they are also published authors. Jonathan wrote the devotional book, 40 Days with the SAVIOR with co-author, theologian Andrew Sargent, PhD. Both Jonathan and Britney collaborated with Sargent on their latest book, GO! : Making 21st Century Disciple Makers. While The Cashmans have toured approximately 150 days per year for a number of years, City of God represents their debut national release and gives long-time fans, as well as those who are just now discovering their music, a reason to rejoice. “This is somewhat of a debut for us on the national stage,” says Jonathan. “We are excited to get the music and message out there, and we hope people who hear us will experience Christ through the music.” For more information on The Cashmans and City of God, and GO! : Making 21st Century Disciple Makers, visit thecashmans.org. Jonathan and Britney Cashman both encountered God’s love and grace in New England in 1999 and dedicated their lives to Christ and to the work of furthering the gospel. The two met in 2004 when they were both playing their songs at the same venue outside of Boston. After Britney asked Jonathan to produce a worship song for her, they got together and have been writing and singing with one another ever since. Married in 2006, they have since used their writing and musical abilities to minister together and serve their local churches in New England, Nashville, Tennessee, and Orlando, Florida, where they served as worship leaders for Calvary Assembly of God and Jonathan also served as Life Groups Pastor. Jonathan holds a bachelor’s degree in theology from Northpoint Bible College and is also the writer/composer of the 40 song, bi-lingual musical, SAVIOR, along with its accompanying devotional book and small group materials, 40 Days with the SAVIOR (co-written by Dr. Andrew Sargent). These original resources, along with their newest full length worship CD, City of God, Britney’s worship CD, Surrender, their EP, In the Light, and their latest book, GO! : Making 21st Century Disciple Makers, serve as effective church resources. In 2014, The Cashmans followed a call of God to travel and expand their reach to churches and communities across the United States. Jonathan and Britney now apply their combined 30+ years of ministry experience to full time music ministry, traveling to approximately 150 dates per year and helping to serve and build the local church across America and internationally. They utilize the arts to present the hope of the gospel and the Great Commisssion to go and make disciples in a creative and contemporary format. Their desire is to see people grow in their relationship with Christ through authentic worship, relevant evangelism and purposeful discipleship. Jonathan and Britney currently live in Franklin, Tennessee, with their baby girl, Everly. For more information on The Cashmans, visit thecashmans.org. About CLG Distribution: CLG Distribution offers distribution services for mid to advanced level artists and labels, with the goal to represent the top up and coming artists who are looking for an opportunity to “up their game.” If you have a story to tell, we’ll present your new releases to the taste makers at the top digital retail sites. For more information visit: clgmusicmedia.com. About NewReleaseToday: NewReleaseToday [NRT] launched in August 2002 and has become the largest Christian music and media site online, offering the most complete and up-to-date info on faith-based arts and entertainment. From album release dates to exclusive interviews to world premieres and Christian music news, NRT has become the go-to place for what’s new in Christian music. NRT also has spawned the NRT Radio Network with eight unique stations featuring worship, rap/urban, dance/electronic, pop and more. For more information, visit NewReleaseToday.com.